Our Social Care service promotes independence and learning through day time activities and gives people the opportunity to develop new social networks and friendships. Contact us for an up to date schedule of weekly activities and workshops. Our Social Care services are for adults with a range of learning and physical disabilities and mental health support needs, and are free to access. 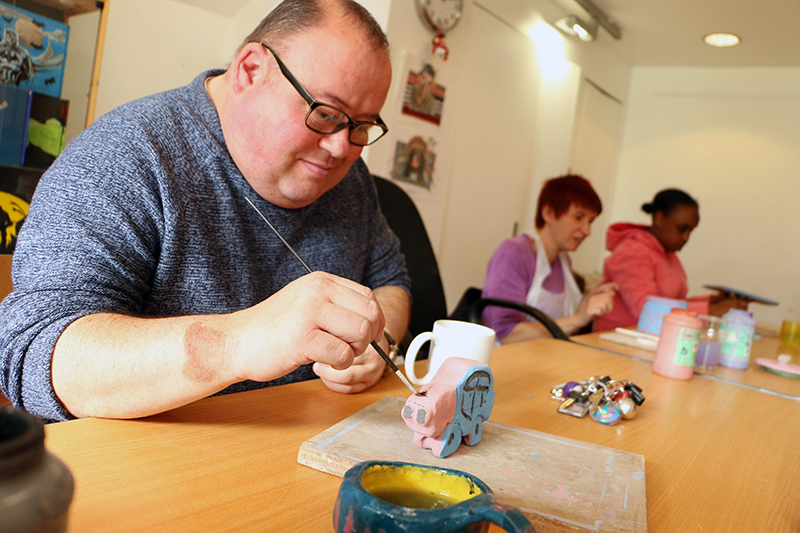 We have a long history of providing innovative, creative and supportive health and wellbeing services to meet the needs of adults with a range of learning and physical disabilities and mental health support needs. 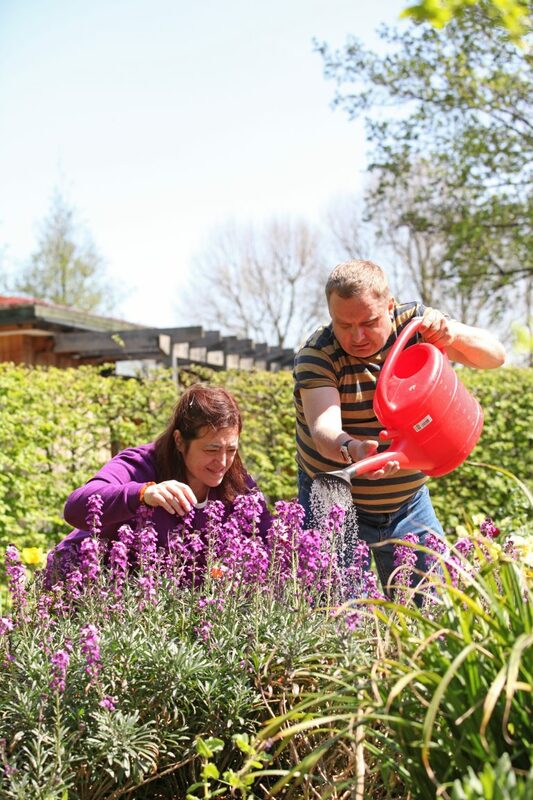 We support individuals to live as part of the community and as independently as possible. Our Social Care service promotes learning through activities and gives people the opportunity to develop new social networks and friendships. We work with individuals to build a programme of support and activity sessions, based on their needs, interests and aspirations. Our sessions are delivered in multi-purpose craft and activity rooms and outdoors in the Bromley By Bow Centre gardens. There are IT facilities and a café on site, all fully accessible. You can choose from a range of creative and skills development workshops, including art based sessions delivered by our resident artists, physical activity sessions and outdoor horticulture activities. Contact us for an up to date schedule of weekly activities and workshops and to register your interest. We offer one-to-one support to help our clients with learning and physical disabilities and mental health support needs access the community and lead more independent lives. 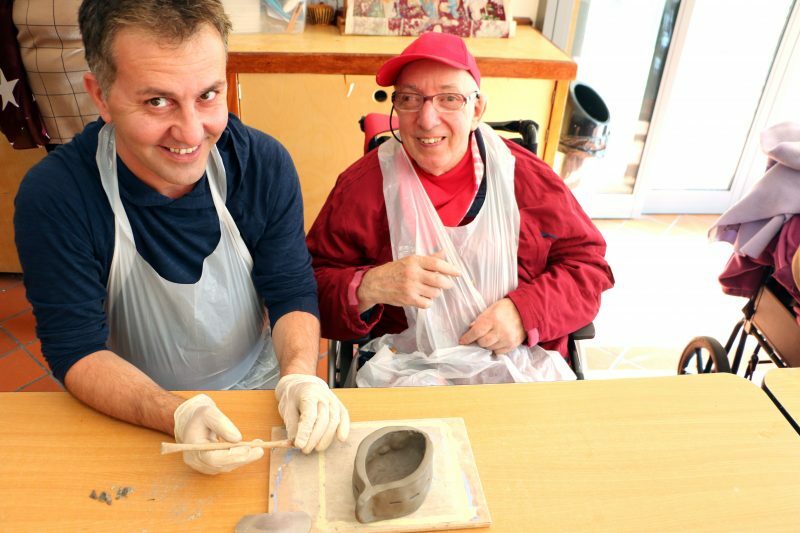 We hold all-ability creative workshops with local artists to enable people who live and work locally to meet each other and learn new skills.